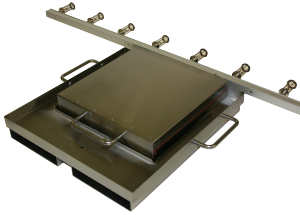 Profiling large Bread & Bun ovens like BakeTech, AMF and Turkington presents additional challenges regarding the placement of the SCORPION® 2 Equipment in the oven. 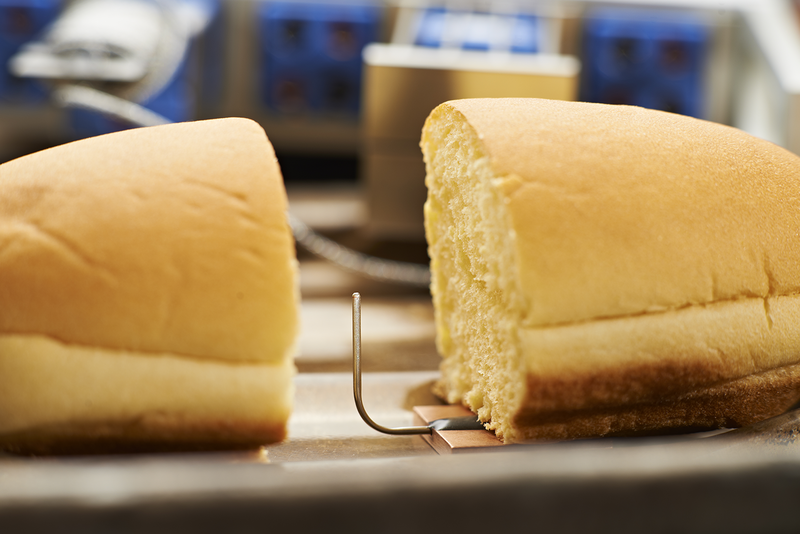 Unlike biscuit and cracker tunnel ovens, where the SCORPION® 2 simply rides on the conveyor, bread & bun ovens require a specialized carrier. Placement is critical in order to produce accurate and repeatable data collection. 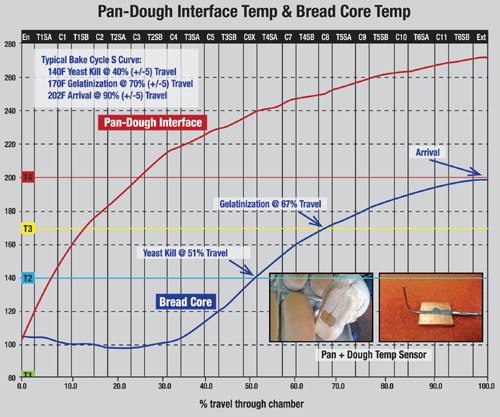 Additionally, long bake times and the need to produce the Bake Cycle S-Curve have lead Reading Thermal to design a set of solutions for the Bread & Bun Baker. 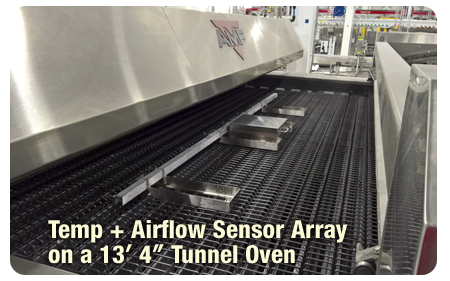 The Temp+Airflow Sensor Array is designed to simultaneously profile temperature and airflow across the width of large tray and grid conveyor ovens. The sensor array contains 9 Temp+Airflow sensors spaced evenly across the length of an aluminum bar. 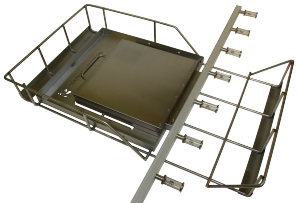 The array comes in 3 sizes to match the most popular bread oven conveyor widths.